-Presumably he "found" them somewhere*** associated, with either or both separately, with the nfr or was sceptre symbol also in a similar (edit dissimilar non upright) position. ***"somewhere" perhaps in a very secret never to emerge document? 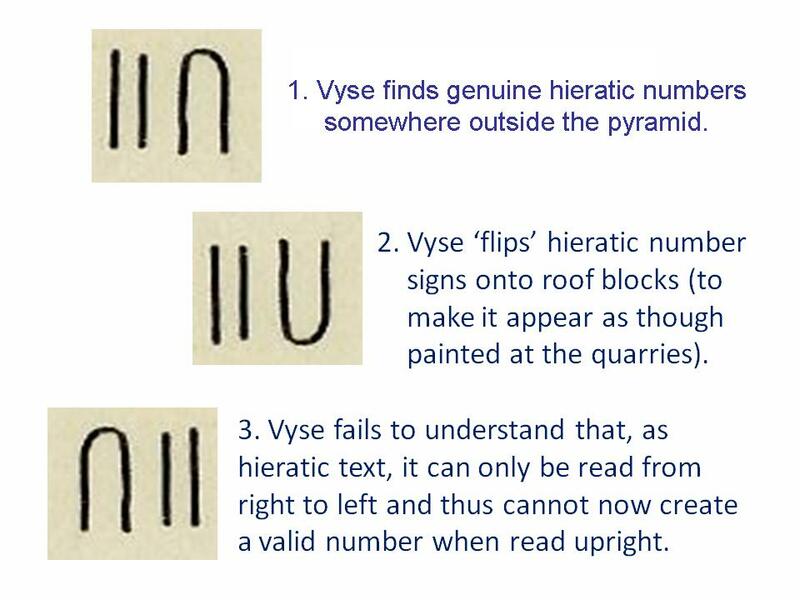 NOW, in wishing to fool all comers he decides it ought be upside down to indicate his forgery was made as part of construction and placed upside down. ….. HE THEN DECIDES (STUPIDLY) to place a mirror to his page to determine what it would look like upside down!!!! If you don't follow what I am pointing out then look at SC's step one and look at it from the top of your computer screen to mimick "upside down"
now..... do you (ANYONE) see the same thing as SC suggests is step two? ? Edited 1 time(s). Last edit at 16-Jun-18 02:14 by Corpuscles.